If you haven’t had your fill of skiing and snowboarding just yet, fear not. 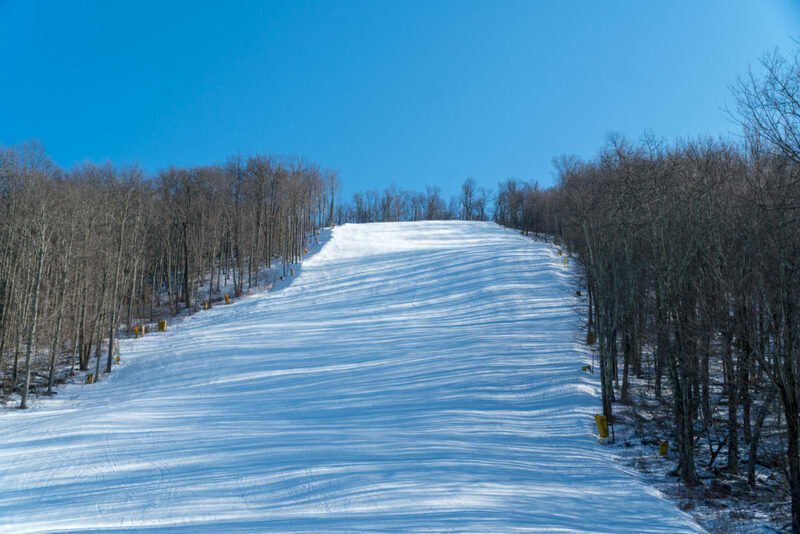 Snowshoe Mountain has announced that they will remain open for daily operations through March 31, which means there’s still some time left to head to the mountain and get a few more turns in before the season ends. For many, spring skiing is the best kind of skiing, and it’s easy to see why. Sunshine, blue skies and soft snow are some of the key ingredients for a classic day of spring skiing. While nothing beats the conditions on a powder day, there’s just something inexplicably awesome about slashing through the soft, loose granular, March snow with just a t-shirt on. Spring skiing has something for everyone. 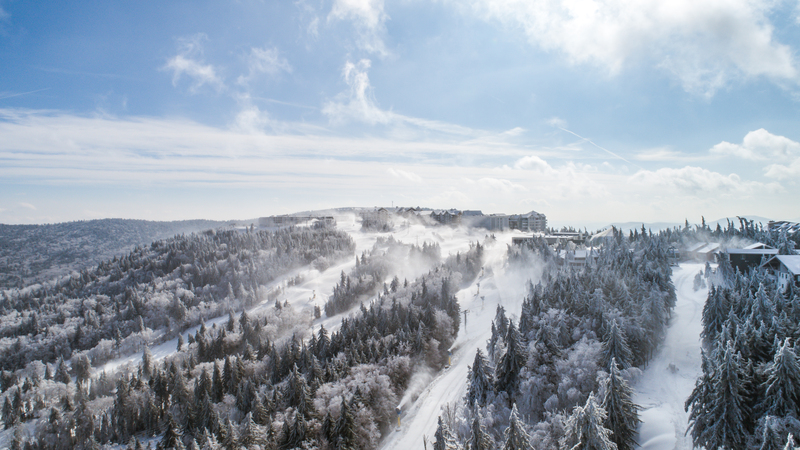 For beginners and intermediates, the late season snow conditions are often ideal. The mild temperatures tend to “slow things down” meaning it’s easier to keep your speed in check, and the surface is super forgiving when you do take a tumble. 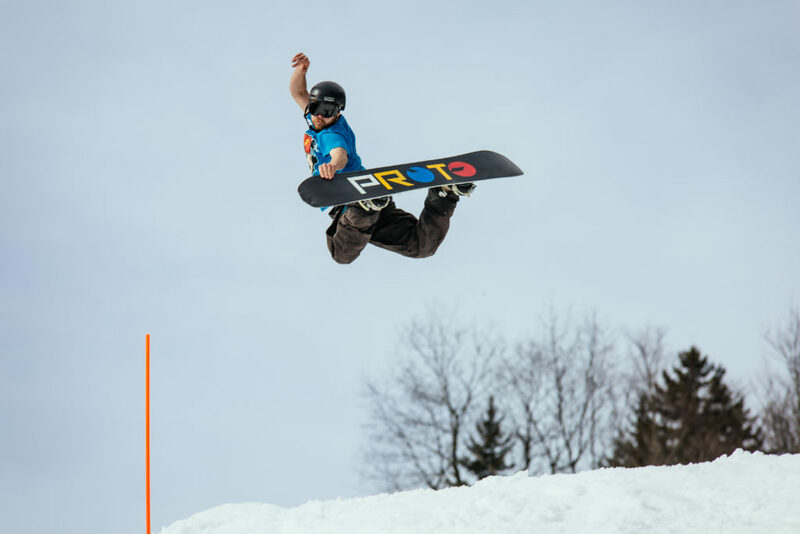 For advanced skiers and riders, spring time means some of the best bump runs, AKA moguls, of the entire season. 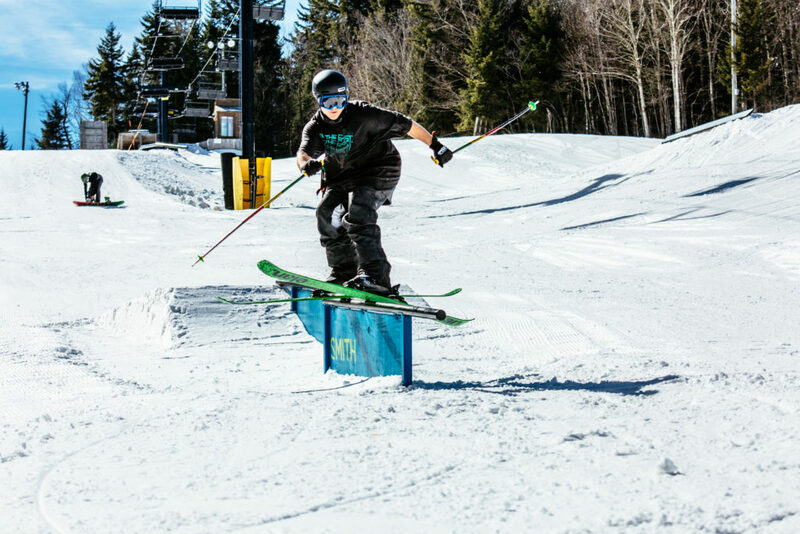 It’s also a good time to test out some new tricks in the terrain park. Another beautiful thing about hitting the slopes in March is the utter lack of crowds on the mountain. Hate lift lines? Good news. They’re virtually non-existent this time of year. Picture having the entire trail to yourself, and skiing right to the chair every time. It’s not a fantasy, it’s spring time at Snowshoe. Aside from the fantastic snow conditions and the solitude, another great perk to spring skiing is the cost, or lack thereof. 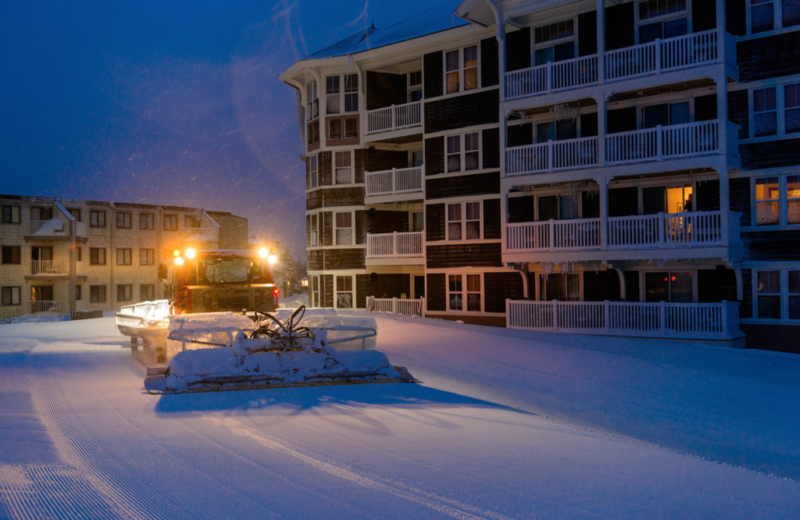 Lift tickets are significantly cheaper, rental equipment is discounted, and some slopeside lodging is available for a fraction of what it costs during the peak winter months. If you’ve been keeping a tally at home, you know it hasn’t been the snowiest winter in our region, with Mother Nature being a little less generous to the local ski areas than usual. So how does Snowshoe have enough snow to stay open all the way to the end of March? They made it themselves. 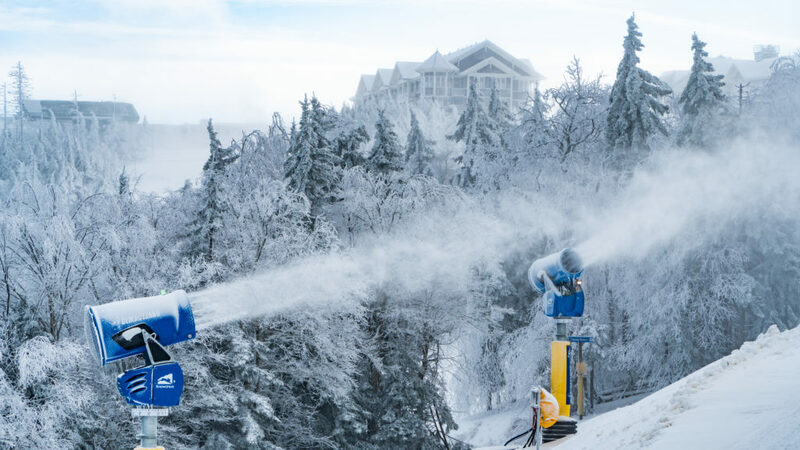 Last summer, the resort spent nearly $4M on high-efficiency snowmaking upgrades, an investment that really paid off big time this winter. Not only is Snowshoe now making more snow faster than ever, they’re also using about 25% less energy to do it. 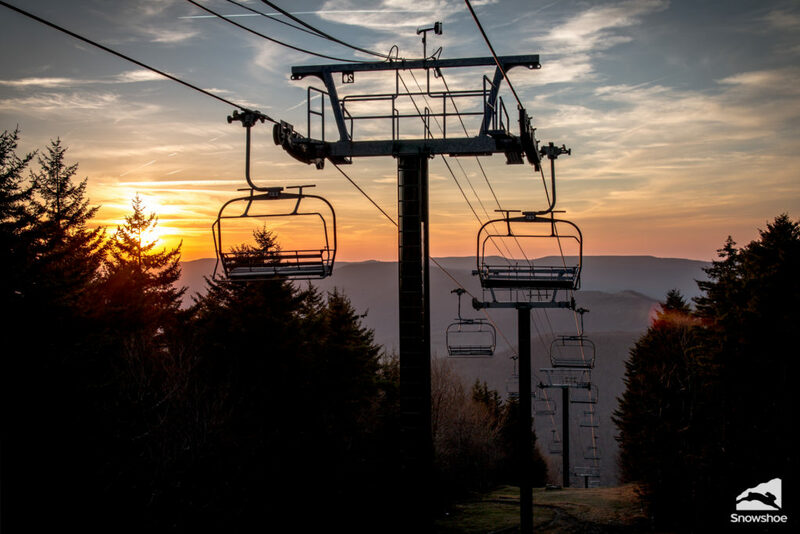 When the sun sets on the 2018/19 ski season on March 31, Snowshoe will have operated for more than 130 days this winter, going all the way back to their pre-Thanksgiving opening day of Nov. 21. The clock is ticking though. Get yourself up to the mountain, make a few last turns, and put a big exclamation point on another Wild & Wonderful season at the Shoe.